ANALYSIS In recent years, news from Nigeria has been dominated by Boko Haram. The security situation has now considerably improved in north-eastern Nigeria as Boko Haram is pushed back by the military. The fight against Boko Haram was reinvigorated after Nigeria’s new president Muhammadu Buhari was inaugurated a year ago. But the sum of Nigeria’s challenges seems to be constant. Starting in November, secessionist agitation in south-eastern Nigeria has resulted in confrontations between security forces and protesters with dozens of deaths. Victor Adetula (the Nordic Africa Institute) and Henrik Angerbrandt (Stockholm University) explain the source of the recent tensions. Next year it is 50 years since the Biafra issue resulted in a civil war that caused between one and three million deaths. The war lasted from 1967–1970, but made an impact that lasted well beyond that, not least because of upsetting images of a starving population that put the focus on the suffering of the civilians during war. The territory of the prospected Republic of Biafra, located in south-eastern Nigeria, is associated with the Igbo, the third largest of the more than 300 ethnicities in Nigeria. The Igbo has long complained about being marginalised in the Nigerian federation. It is argued that political power are disproportionally allocated to other regions, especially the northern part, to which most animosity is directed as a consequence of events preceding the civil war, when 30,000-50,000 Igbo were killed in northern cities after a coup by some Igbo officers in 1966 had been overthrown by segments of the military from the north. The military and its leadership have since been dominated mostly by people from the north. The attempt to create the Republic of Biafra in the 1960s failed and the war ended in favour of the Nigerian side. A programme of reconciliation, rehabilitation, and reconstruction (otherwise referred to as ‘the Three R’) was subsequently inaugurated by the military administration whose reconciliatory approach at best helped to diffuse tension between disgruntled Igbo and the rest of the federation, but ethno-regional politics persisted aided by mutual suspicion. After the military handed over power to civilians in 1999, ethnic associations and militias flourished. 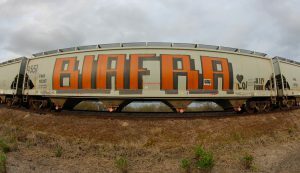 One of these was MASSOB – Movement for the Actualization of the Sovereign State of Biafra – which has been most vocal of the pro-Biafra separatists. They have however gained limited support for their demand of secession although many Igbo have shared their grievances against the Nigerian state. Since last year they have however scaled up their activities. The present crisis in south-eastern Nigeria started with the arrest of Nnamdi Kanu in October. He is a London-based leading member of another Biafran separatist movement, Indigenous People of Biafra (IPOB), and runs Radio Biafra. Kanu is accused of promoting hate-speech and calling for taking up arms to achieve independence. The arrest of Kanu triggered widespread protests across the south-east in which tens of thousands have participated. The level of support took most observers, including politicians in the region, by surprise. The governors and high politicians in the south-east often claim marginalization, but few support a separatist movement. They have rather used the rhetoric of marginalisation and groups like MASSOB to gain influence in a strategic manner for their personal gains. The Nigerian security agencies have a long history of reacting to dissent with violence. Also this time, the police have been accused of targeting pro-Biafra protestors. Like several times before, this tactic seems to backfire. People in the south-east take it as another sign of their voices being muted and the protests have rather increased with police clampdown. So why now? One explanation is that the new president, Muhammadu Buhari, has never been particularly popular in the south-east. He is former military president in the 1980s and part of the northern elite that is identified as responsible for the plight of the Igbo. Accordingly, Buhari gained very little support from the region in the 2015 presidential election. The south-east was together with the home region of the former president, the Niger Delta, the stronghold of the opposition against Buhari. In the presidential campaign, Buhari had promised to defeat Boko Haram and to fight corruption. The military leadership and other key positions were replaced as soon as Buhari took office. Grievances increased when Buhari initially appointed almost only people from the north into leading government positions, thereby supplanting the protégés of former president Jonathan with his own loyalists. Furthermore, given that government appointments and resource distribution had become increasingly skewed towards the south under Jonathan’s tenure, the investigations of corruption started with many of the accused coming from the south. This gave the impression that Buhari was dissociating himself from the south of the country. The protesters are critical of the Buhari government and may not really want a new war of secession. Many saw the appointments as rewards for those who voted for him and punishment of those regions that did not vote for him. The protests have succeeded in drawing attention to the neglect of the eastern parts of the country where infrastructure and job-creating investments have been low priorities. People are disappointed and there is the self-perception of marginalisation and neglect. The protests are thus about identity and citizenship as well as youth employment. The challenge for Buhari is to form an inclusive nation. This needs to start with a citizen oriented politics rather than the balancing of ethno-regional forces in the federal state being a goal in itself. The Islamic insurgencies in the north, the separatists in the south-east and the militants in the Delta all share their grievances against the elite-centred Nigerian state. The government seems however not to have learned their lesson. So far, the response to the uprisings in both the south-east and the Niger Delta has been the typical heavily militarised one, which in the past has contributed to deteriorate the situation. How the agitation for the independent state of Biafra is managed by the Buhari administration will in the south-east be taken as sign of the meaning of the words in President Buhari’s inauguration speech when he said “I belong to everybody and I belong to nobody”. Victor Adetula is Research Director at the Nordic Africa Institute and Professor in Political Science. Henrik Angerbrandt is lecturer and researcher at the Department of Political Science, Stockholm University.